A world-class marina, 27 holes of championship golf, and Inn, a luxury hotel, the Village at Bay Harbor shops, and water-front dining all combine to create a magical place. 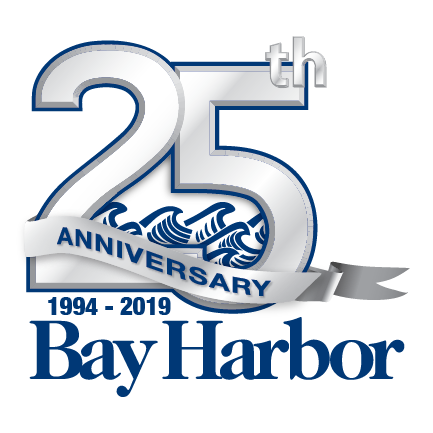 We have seasonal festivals and events throughout the year provide endless opportunities for fun and enjoyment in Bay Harbor. And don’t forget about the beautiful views of Lake Michigan and Little Traverse Bay. We are truly a one-of-a-kind resort community. Waterfront dining, professional salon and spa services, yacht sales, and unique and wonderful little shops are all just part of the experience in the Village at Bay Harbor. Evening dinner date? Casual drinks and a bite to eat with friends? Looking for a hearty breakfast? You’ll find something to suit every taste and occasion in the Village at Bay Harbor. We offer a wide variety of resort wear, footwear, nautical gifts and accessories. 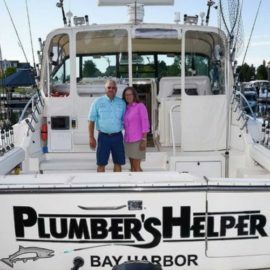 Captain Jim has more than a quarter century of Great Lakes sport and tournament fishing experience and he knows how to put the boat where there are plenty of fish.